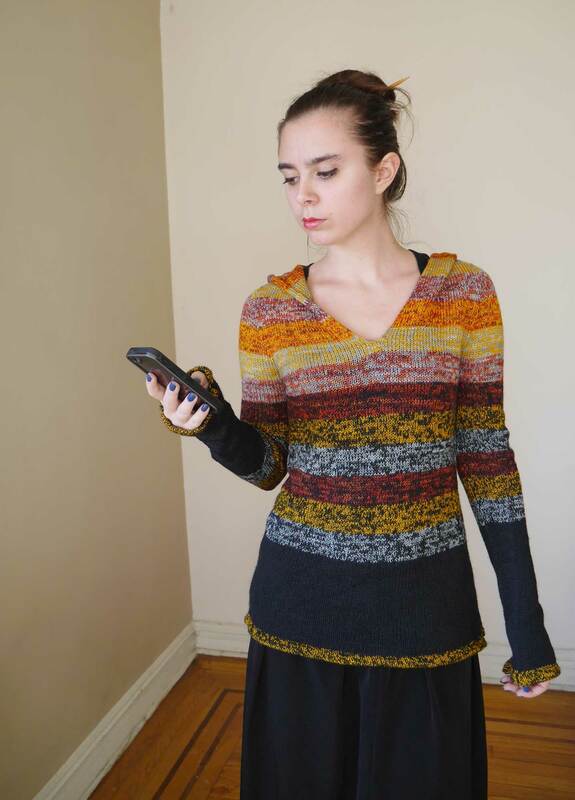 The Versio Sweater – finished! 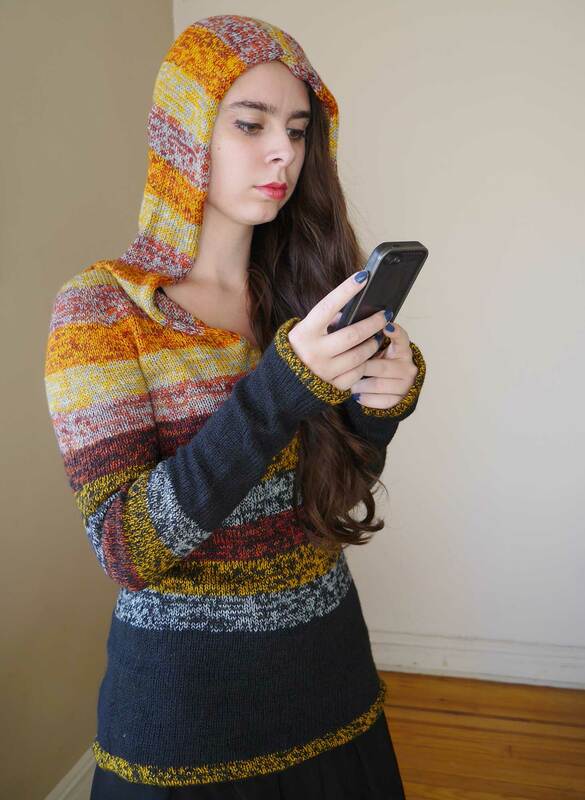 I love the crazy colors, and the striping, and the fit, and the hood. The sleeves are made using the contiguous method for working seamless top down set in sleeves. While I think the method is really interesting, and something I want to play with in the future, the armscyes* on this sweater ended up way to large for me. *The armscye is the measurement around the armhole of a garment – where your sleeve attaches to the body of a garment. 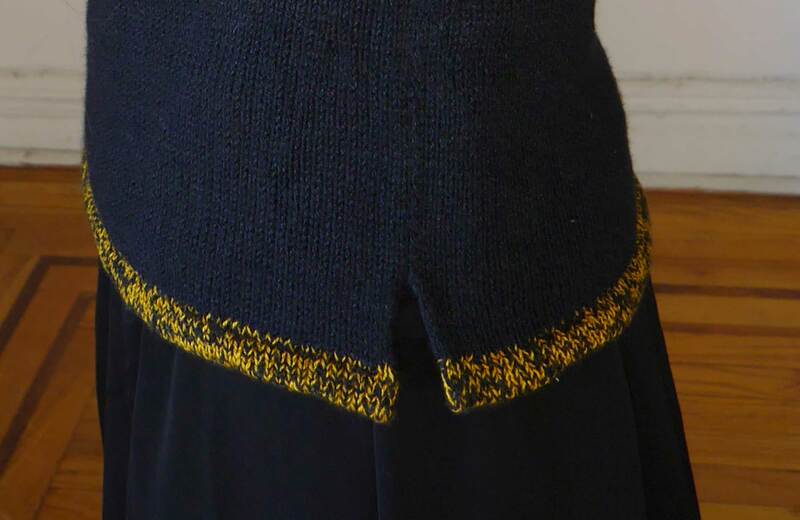 Part of that is probably so that the sweater can go over a shirt of some sort – and part of it is probably due to my messing a bit with the gauge. It certainly isn’t the end of the world. 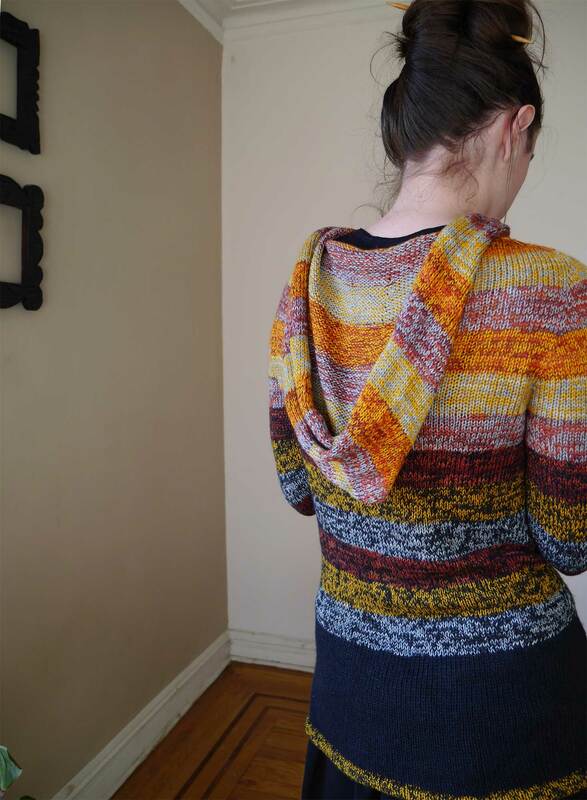 The original pattern has a deep, square collar, but I replaced that with a hood. 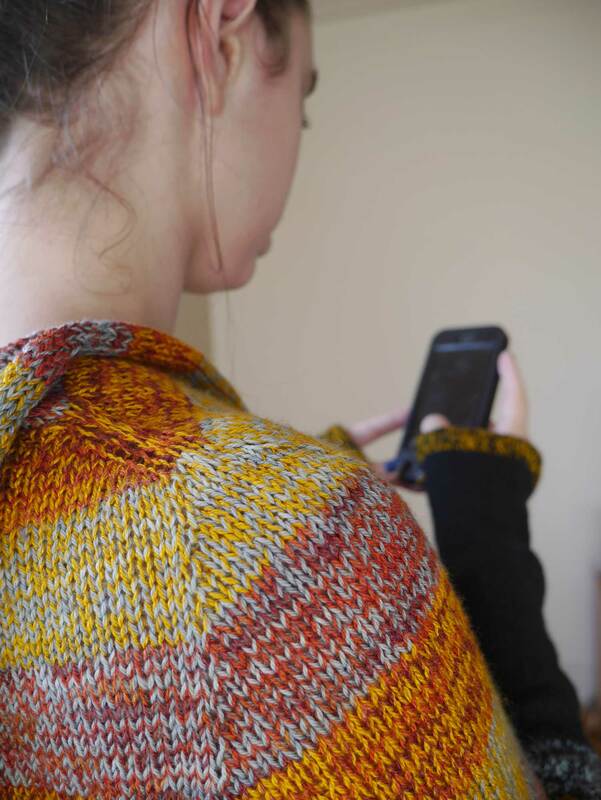 I followed the notes on Rililie’s Ravelry project page. I worked 6 stripes straight, then bound off the center stitches and worked 1 stripe on either side of the bind off, and finished with 2 rows on either side with the blue & yellow, before working a three needle bind off. Every time I put on the hood I feel a little bit like a cartoon character. The hems on the sleeves & body are turned hems that create a tube designed to have cording threaded through. 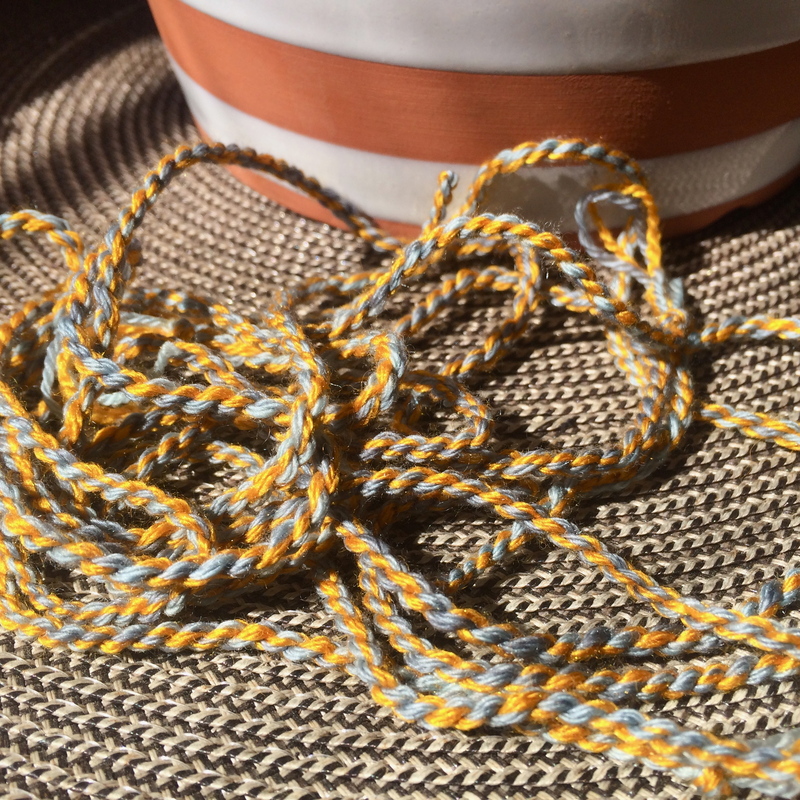 I had planned to use yellow & blue cording, so it wouldn’t clash with the black & yellow hems. After wearing it, I think I’m going to close up the slits in the sleeve hems (leaving just straightforward turned hems) and not thread the cording through the bottom hem. 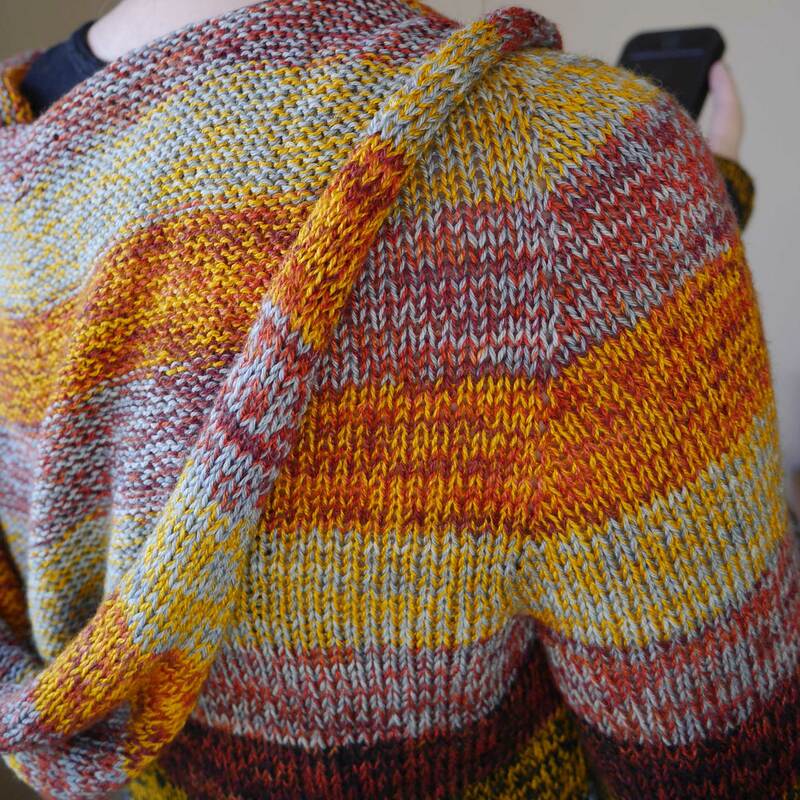 I don’t think the sweater needs it, and I’ll find another use for the cording.